Say 'konichiwa' to the world’s favourite feline, Hello Kitty! 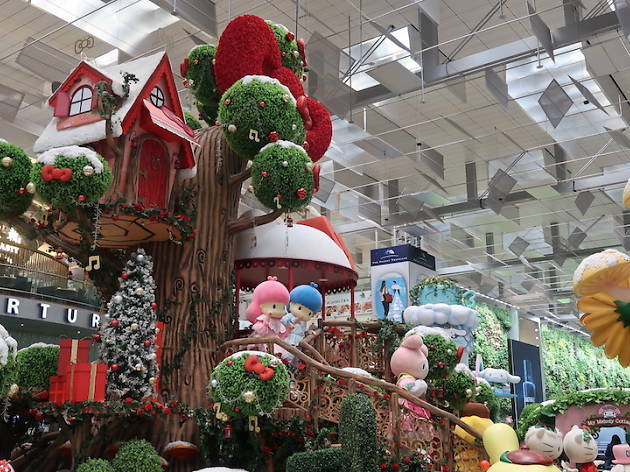 The well-loved Kitty and her Sanrio friends, like Gudetama and My Melody, will be popping up at Changi Airport’s Terminal 3 for a special holiday celebration. For the first time in Changi Airport, look to the ‘sky’ for an indoor drone show featuring as many as 40 drones lighting up the enclosed space with exciting formations. 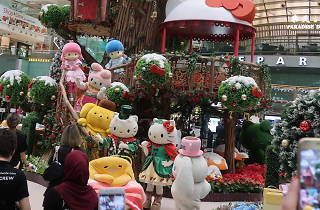 Children (and adults) can dance along to a song and dance performance by the Sanrio characters. 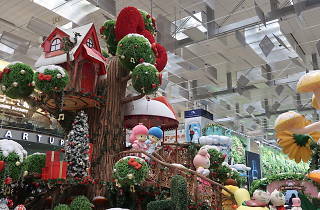 Step into Changi’s Mystical Garden and be enchanted by the huge treehouse and gazebo, decorated with Hello Kitty’s classic red ribbon. 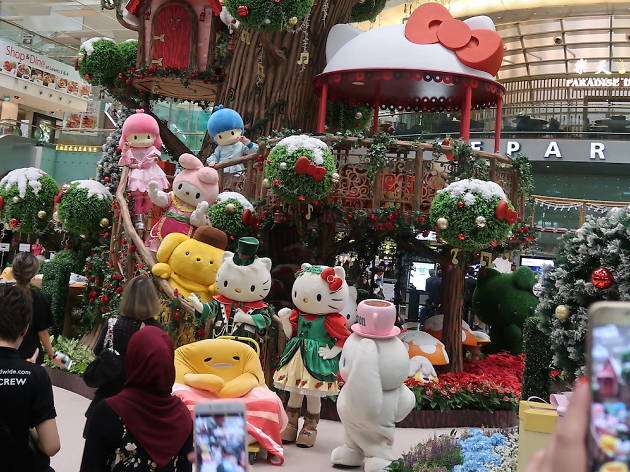 Remember to keep a lookout for the life-sized Sanrio mascots on-site for a super kawaii Insta-shot.